After a few months of nursing a broken leg Terrence Marsh is shredding agian, so be on the lookout! 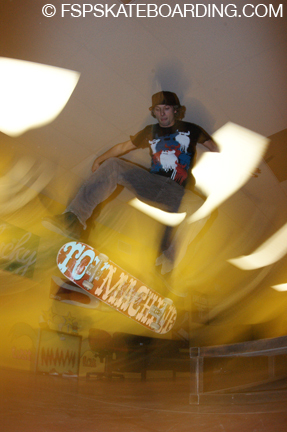 Think you can ollie the highest? Join us for the 1st annual Deviance High Ollie Challenge on Saturday, April 25th or May 2nd. All of the details for this event will be worked out soon. 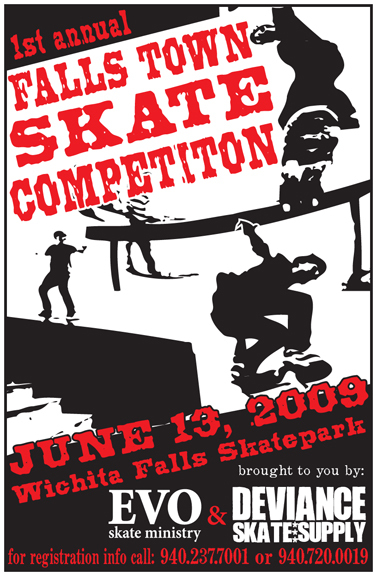 SKATE COMP COMING TO WICHITA FALLS JUNE 13th @ the Wichita Falls skatepark – the times TBA soon! 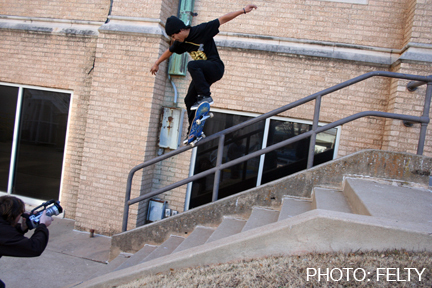 Dirty was in the Texoma area not to long ago and stopped by to do some skating. These pics below are from the DEVIANCE Winter Solstice party, which took place about 3 months ago! 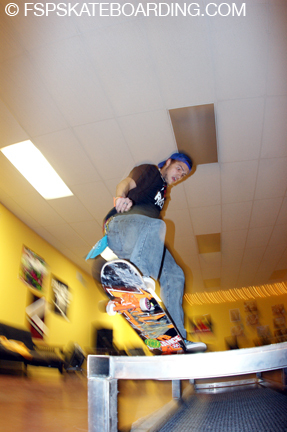 You are currently browsing the FSPSkateboarding blog archives for March, 2009. 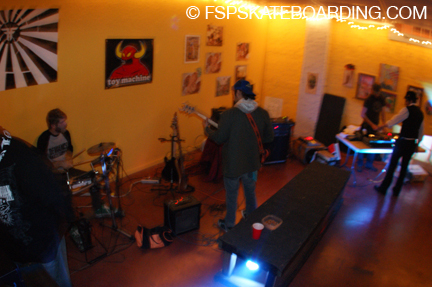 Images and video © FSPSkateboarding 2003-2010 | Site by Falls Geek | Entries (RSS) and Comments (RSS).